Erebus Motorsport will showcase the Peter Brock Trophy to fans at Supercars events this season. The Melbourne squad, which lifted the coveted prize last year, has brought the iconic trophy to this weekend’s Adelaide 500. 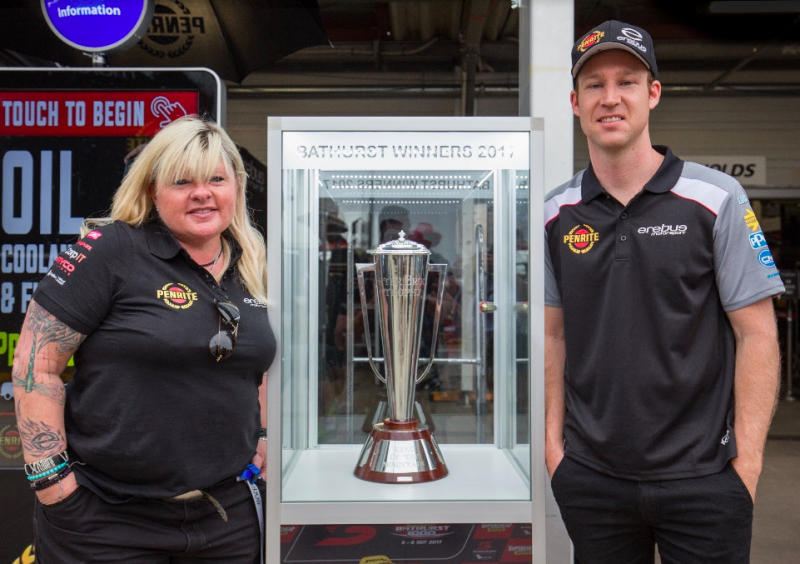 A special display case has been constructed which is situated outside of the team’s garage to allow fans to get up close to the famous piece of silverware. “We’ve created a display at the rear of our garage for everyone to enjoy,” said team owner Betty Klimenko. “Peter Brock was a man of the people, so we are bringing his trophy to them. “The fans are what makes this sport as great and enjoyable as it is. David Reynolds took out the Supercheap Auto Bathurst 1000 alongside Luke Youlden last year. The pairing is set to return to defend their title this year.